Pampered Pirate: My Zen Den! With an interest in yoga, meditation and escaping to the tropics I thought I'd write about my space that I've created to "escape" to until I do finally make it to the tropics on our sailboat. With all the pressures and stress of today's lifestyle, we all need to take time for ourselves to calm our minds and relax. This is easier said than done, but having a place to go to with no distractions can definitely help. Although I highly recommend yoga and meditation to relax (it really helps), I know that not everyone will take the time to try it. Whether you practice yoga and/or meditation or not, having a quiet place to relax, read, listen to music, enjoy a glass of wine, etc. is priceless! I've created my own sanctuary, which a follower (thanks Paul!) recently called my "Zen Den". This room is in my home and towards the back of our house. This is by far my favorite room in the house, and I can immediately feel myself start to relax as soon as I settle into my own little world. 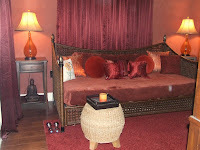 I wanted a room to practice my yoga and mediation, and I wanted it to be warm and inviting with an exotic feel. 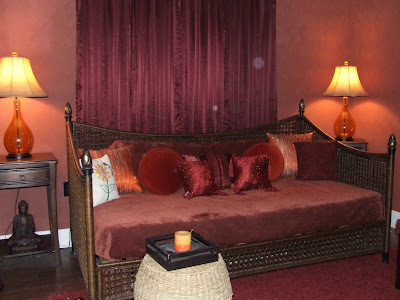 I accomplished this by painting the walls with a warm, rust color in a suede finish then adding fabrics and textures in different shades of the same color. I covered the window and closet door with a bronze silky fabric to bring it all together. 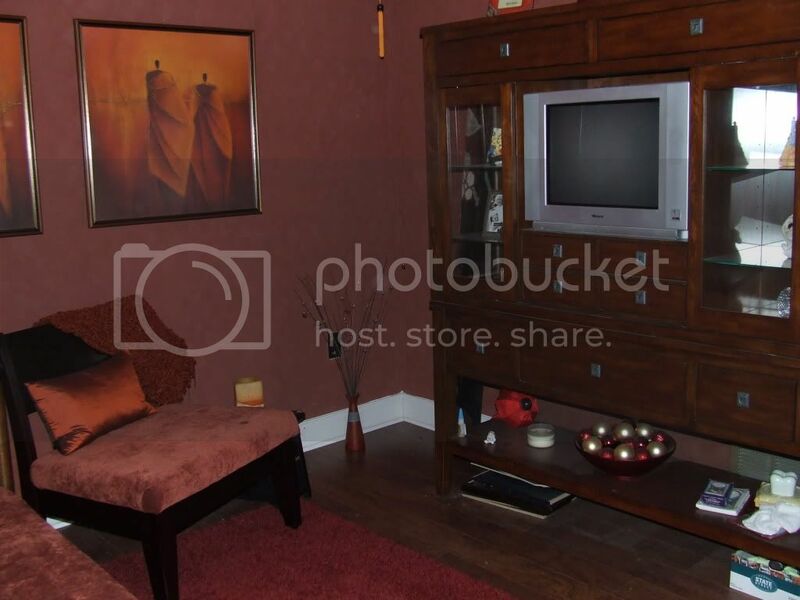 I took my time creating this room, as I wanted it to reflect my personality and passion for the Asian culture. When I'm in my "Zen Den", I feel like I've been transported to a place somewhere in Asia, far away from the stress of my daily life. 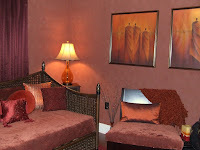 My husband and daughter know that this room is my sanctuary, and it is off-limits to visitors. When we move onto our sailboat, I plan on duplicating this look. How cool would it be to have a "Zen Den" in our salon and/or v-berth?! So, think of what your sanctuary would look like. Would it be a pastel colored room reflecting the beach and the sea, maybe something warm and zen-like as my own sanctuary, or maybe a dark purple room with splashes of pink and orange! Whatever your vision of "escape" is, think about creating it and enjoying it. Go ahead and "pamper" yourself, you deserve it!